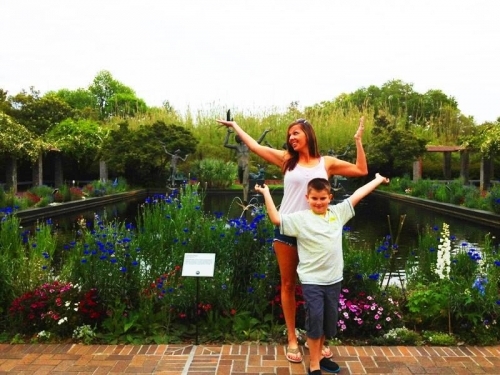 Brookgreen Gardens is a world renowned sculpture garden steeped in history. This national historic landmark is a museum, education center, zoo and garden showcase that borders a freshwater river. The Archer and Anna Hyatt Huntington Sculpture Garden features hundreds of American sculptures, the largest collection known in the world. Encompassing several thousand undeveloped acres, Brookgreen Gardens is a preserve for animals and native plants. Throughout the year, Brookgreen Gardens features visiting artists, traveling exhibits and special programs. The annual Nights of a Thousand Candles is regularly featured in national magazines, such as Southern Living. Walking tours, boat tours and Trekker rides are available. A restaurant, snack bar and gift shop are on site. Open daily. Tickets are valid for six consecutive days and annual family passes are available.